What is Mobile Cardiac Telemetry? If you are a patient and your physician prescribes a long term cardiac monitoring study, you may be asking what is mobile cardiac telemetry? 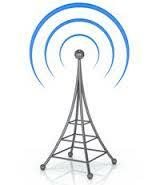 Mobile Cardiac Telemetry is relatively new technology to enter the world of Ambulatory Cardiac Monitoring. 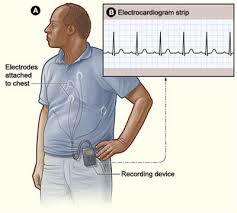 This technology is significant as it is a real time ECG monitor that has the capability to automatically detect any ECG abnormalities and automatically transmit this ECG information via cell phone technology to an accredited diagnostic laboratory for professional review. Mobile Cardiac Telemetry (MCT) is becoming more and more common as the device is far less labor intensive for the patient as compared to the traditional Event Monitor. A Cardiac Event Monitor is a device used for detecting ONLY symptoms felt by the patient. The MCT monitor has the capability of transmitting both symptoms felt by the patient as well as abnormalities that are not felt by the patient. Further, MCT monitoring is useful as the communication is constant so if there are messages needed to be transmitted to the patient, the process is simple and reliable because it uses standard cell phone technology. Mobile Cardiac Telemetry monitoring is the wave of the future because there are so many technological advantages compared to other long term monitoring options. MCT monitoring technology can be considered a superior method for detecting ECG abnormalities as it captures cardiac abnormalities in real time. The expedited nature of MCT can potentially improve diagnostic care and lower healthcare costs over the long run.